I feel like I’m arriving late to the primer party. I’ve tried a few in the past–usually samples of Smashbox primers I received in Ipsy bags or Sephora Play boxes. I’ve always felt sort of “meh” about them. But I’ve had so much trouble recently with foundations sinking into fine lines, creasing, making my pores look huge, that I knew I needed to try our a few more options. I do love my Maybelline Master Prime Blur + Illuminate primer, but this only helps matte finishes look more dewy–it doesn’t do much for the creasing issues I was having. I was recently out running errands and drove past Wal-Mart. I never think to go there since I live dangerously close to Target, but I remembered hearing some good things about the Hard Candy line, so I decided to pop in and try out a few products. This week, I’ve been trying the Hard Candy Sheer Envy Skin Perfecting Primer ($8). It is a dimethicone-based primer, and has a translucent gel-like texture that goes on feeling slightly oily but as you rub it in, dries down to a silky smooth finish. Testing Method: I used this product several days in a row with the foundations I like to call “my worst offenders.” These are foundations with finishes I love but that crease and sink into lines or pores like crazy. I also tried it out with a few foundations that do not typically crease, to see if it caused any creasing or caused them to wear differently. These were my control group, so to speak. I knew and liked how they performed without primer, so I wanted to see the difference that this primer made. Application: A little goes a very, very long way. You need a dot the size of a small pearl. Do not use too much or it will not sink in properly. After letting your moisturizer sink in, dot the primer on your face in the areas you want it to be concentrated: typically the forehead, nose area, cheeks, and chin, and blend from there. Take your time, and really blend it in. It will feel greasy at first. That is normal for this type of primer. I like to really push it into areas that need priming, then ease up on the pressure and lightly blend out. Repeat this push/release/blend motion all over your face. Wait a few minutes until it’s dried down, then you can apply your foundation. This will take about 10 minutes. Again, this is normal–primer needs a few minutes to dry down, just like any cream or liquid product. How it worked: I am very pleased with the performance of this product. Did it completely erase any fine lines? No, not completely. Did it prevent my makeup from creasing? Again, not completely. But my face makeup sure looked better than when I wore the offending foundations without primer! It significantly cut down on the amount of creasing, and made it easier to blend out any creasing that did occur without removing product. 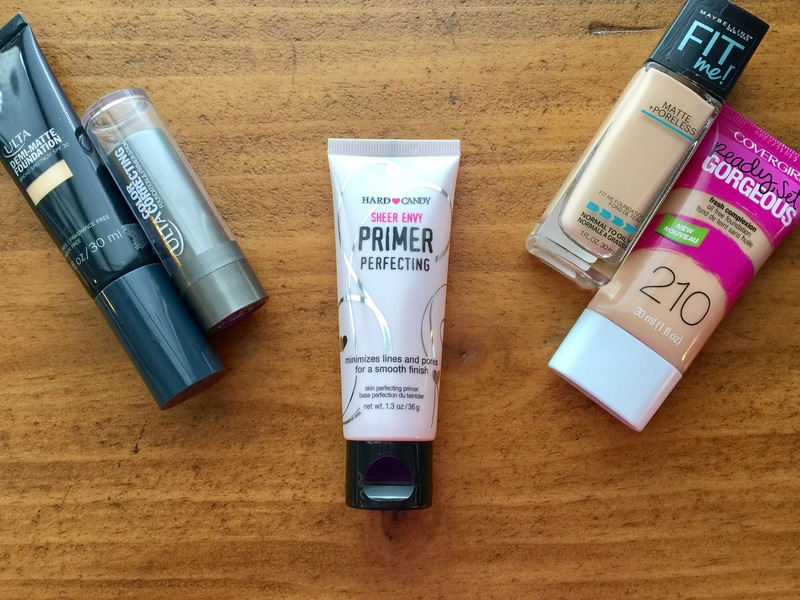 My skin looked much smoother and each foundation wore nicely over this primer. It blurred pores and created a silky canvas for makeup. I’ve never had an issue with longevity of wear–my foundations typically don’t get patchy or wear off. But I do think that this kept them from fading–my makeup looked as vibrant at bedtime as it did when I applied it in the morning. As for the foundations that didn’t typically crease? I’m happy to report that this did not in any way affect their wear time or finish. They performed just as well with the primer as without. Funny story: I used this product to do my husband’s zombie makeup on Halloween. I applied it to give me a good base for all the contouring I was going to do on him to make his cheeks and eyes look sunken. I didn’t want to make him wear foundation, but I needed something to keep the powders from mixing with oils in his skin and skipping or fading. It worked beautifully on him–he looked like the most porcelain doll-faced zombie you’ve ever seen!